Afternoon parties, delicious hors d’oeuvres, and champagne under the sun are some of my favorite ways to celebrate the summer. With so many events to attend, summer is in full swing and I am finally able to wear some of my lovliest outfits and accessories for the season. Ted Baker is one of my favorite designers. His shops are a paradise of floral prints, soft colors, and fancy accessories. While shopping in one of his boutiques, I found the Serlant Floral Print Maxi Dress and instantly fell in love with this incredible chiffon gown. I had to have it! I knew I needed a stunning piece of jewelry to complete my outfit. Known for their luxurious stones, and gorgeous diamonds, I went to Cargo Jewelers and Gallery. They have the most beautiful collection of fine jewelry pieces. 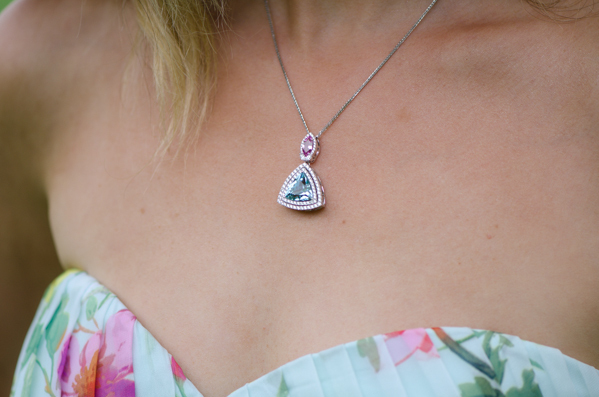 With their help, I chose an exquisite 5 plus karat Aquamarine and Pink Sapphire necklace to coordinate with my dress. Both stones are bordered by round brilliant diamonds, and suspended from an 18 karat white gold chain. The rich blue hue of the Aquamarine Necklace was the perfect piece for my dress. 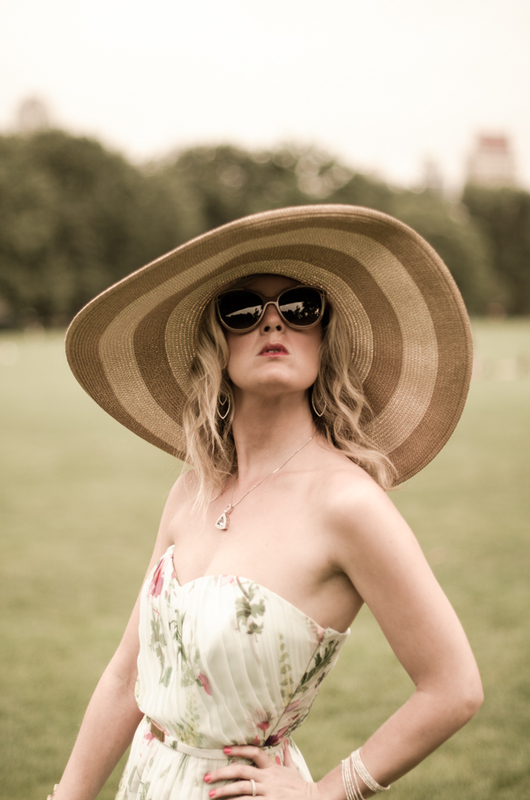 I found an oversized floppy sun hat, Fendi Sunglasses, and a handful of sunflowers to complete my garden party look. 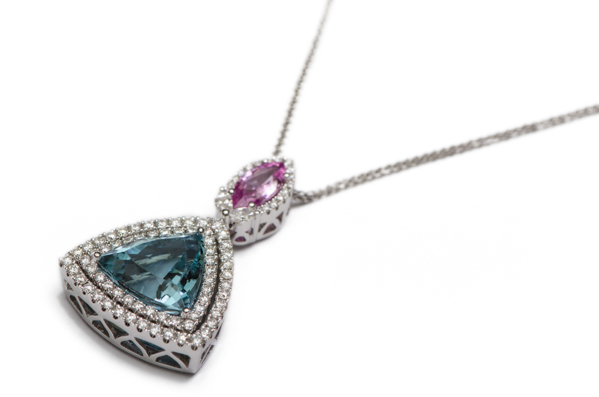 To purchase the Aquamarine Necklace we have featured, please contact Cargo Jewelers and Gallery at 440-967-0121. To purchase this Aquamarine Necklace, please contact Cargo Jewelers and Gallery at 440-967-0121.